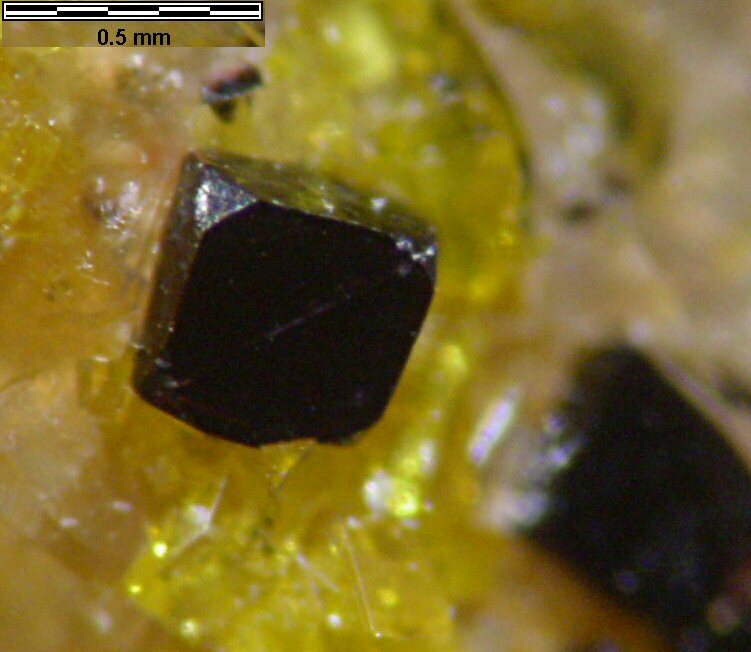 Comments: Sharp, cubic crystals of black uraninite on yellow uranophane. Location: Teofilo Otoni, Minas Gerais, Brazil. Scale: Picture size 1.5 mm.